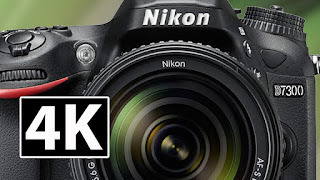 Nikon D7100 which at the time was Nikon's flagship flagship body was released in March 2013. Its successor, the D7200 was released in April 2015. Following Nikon's release schedule the successor to the D7200 should be released sometime in April/May of 2017. But will it? The D7XXX used to be Nikon's flagship DX body, until they came out with their D500 in April 2016. And quite astonishingly it shared a lot of components with their much heavier full-frame flagship, the D5, mainly the auto-focus system which is reportedly the exact same one. Given Nikon's current financial troubles, do you think they'd bother making a pseudo-flagship for their DX line? Well, there is a rumor around that the camera is almost ready for release and that it will share most of its components with the D500 camera, which really sounds great, apart from the fact that they would be downgrading its image sensor from 24 megapixels currently found in the D7200 to the 20 megapixel sensor found in the D500. Bummer... But it would mean that it would be capable of shooting up to 8 fps (hopefully the buffer size will increase too, so it will shoot at a constant speed of 8 fps instead if just one second at that speed followed by an image or two per second). And did I mention that it will shoot 4K video?